Bates White is a leader in providing economic analysis in antitrust litigation, with particular expertise in evaluating allegations of unlawful competitive agreements. Because of our breadth of expertise, collaborative approach, and long-term client relationships, we’ve been retained in almost every significant international price-fixing matter of the last 15 years. Our deep experience evaluating claims of price-fixing, bid-rigging, supply restrictions, and market allocation—on behalf of both plaintiffs and defendants—makes us well-respected by clients, as well as the Department of Justice and other regulatory agencies. In each case, we tailor our approach to the available information to provide cost-effective and individualized solutions. We invest in our employees at all levels to provide better project management for clients. Our experts work more effectively and communicate more responsively because of our deep support team of analysts and consultants—so our clients get the best possible work product and a clearer understanding of the economic issues. And we are consistently recognized for delivering within clients’ time frames, even when it seems impossible. Testified on behalf of several direct action plaintiffs that include large electronic component distributors and contract manufacturers in In re Capacitors Antitrust Litigation. 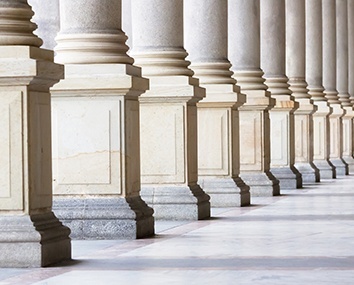 Retained to work in the LIBOR-based Financial Instruments Antitrust Litigation on behalf of a class of over-the-counter plaintiffs—the OTC class—that filed a class action lawsuit against the global banks that set US Dollar LIBOR. Testified on behalf of plaintiffs in In re Vitamin C Antitrust Litigation, a case alleging price-fixing agreements between Chinese suppliers. Provided expert testimony on behalf of defendant Nestlé USA in In re Chocolate Confectionary Antitrust Litigation. Provided expert reports, deposition, and trial testimony in In re TFT-LCD (Flat Panel) Antitrust Litigation on behalf of a coalition of direct action plaintiffs in the United States, Asia, and Europe represented by multiple law firms. Provided expert reports, deposition, and trial testimony on damages on behalf of a coalition of direct action plaintiffs in In re Urethane Antitrust Litigation. Retained by a freight forwarder involved in negotiations with the US Department of Justice, European Commission, and enforcement agencies in other jurisdictions over allegations of price-fixing in the freight forwarding industry. Provided extensive consulting services for defendants in In re EPDM Antitrust Litigation and in In re PCP Antitrust Litigation. Provided expert reports, deposition, and trial testimony on behalf of the United States in the matters United States ex rel. Bunk v. Birkart Globistics and United States ex rel. Ammons v. Pasha Group. Provided extensive consulting services and expert testimony on behalf of a group of direct action plaintiffs and class plaintiffs in In re Vitamins Antitrust Litigation, one of the largest price-fixing cases in US history. Provided extensive consulting services for a coalition of direct action plaintiffs in In re Puerto Rican Cabotage Antitrust Litigation.